Maniacal mercenary Jeff Slater (Jones), and his right-hand man Christoph (Kluppel)lead a band of baddies to Thailand to try and retrieve a cache of gold bars hidden in what looks like a miniature NASA spacecraft. Also after the gold is Slater’s former ‘Nam buddy Oliver Moss (Vincent). Moss takes his right-hand gal Debbie (Rose) along with him and his gang. But there’s going to be plenty of conflicts and competition, not even amongst the two groups vying for the treasure, but from local soldiers, as well as a battalion of Japanese warriors hidden in a Thai cave (????). He who has the gold makes the rules...who will rule? This movie is so great! It ranks among the best work of P. Chalong, the best work of Jan-Michael Vincent, the best work of Sherrie Rose, the best work of AIP, the best work of Christoph Kluppel and by far the best work of Sam Jones. All in one convenient movie! How can you lose? P. Chalong has directed six movies in his career and we’ve seen three of them to date - Gold Raiders (1983), The Lost Idol (1990), and this. Sadly, it was his last movie, because he’d finally fulfilled his potential as a director and given us the P. Chalong that we’ve always wanted to see, if that makes any sense. He seems to be the only guy out there willing to hire the under-used Christoph - who, in true Tony Danza fashion only plays dudes named Christoph - but for some reason is dubbed with a Russian accent. He’s a member of the team of baddies that includes a guy that looks like an 80’s-era Weird Al, and a Tommy Chong-like man as well. Truly these are the villains that will strike fear in your heart. On the hero side we have Sherrie Rose, who hails from our home state of Connecticut. She can certainly hold her own with all the testosterone around. And fan favorite JMV - even though it was the 90’s at this point - still wears his sunglasses at night in true Corey Hart fashion, as well has his Member’s Only jacket and childlike hair part. Witness as he mispronounces the word “Laos” - but even still, he doesn’t seem that drunk this time around. Whether that’s a good thing or not is up to you. But, ladies and gentlemen, no one can even come close to Sam Jones in this, the role of his lifetime. Jones, playing a baddie (which is rare for him) seizes the opportunity with gusto. He’s at his absolute best as he chews the scenery to shreds with hyped-up abandon. 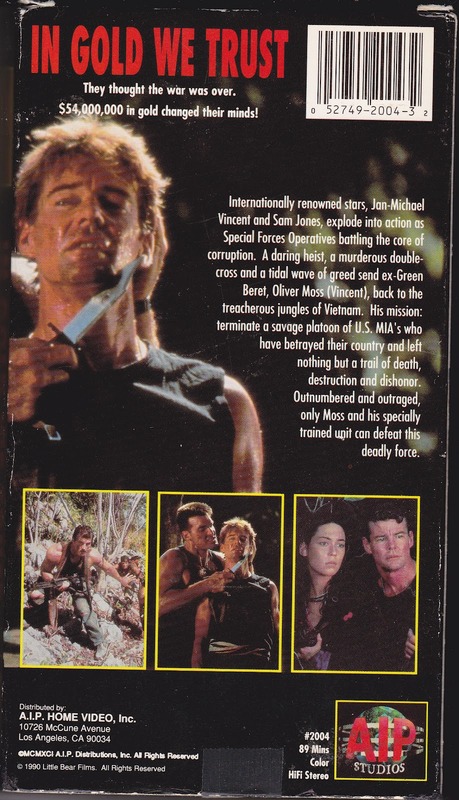 It’s over the top in the best sense of the word, even a John Miller (From Honor and Glory, 1993)-like performance. It’s beyond a tour-de-force. It’s a tour-de-France as he attempts to lead his horde of highly-questionable antagonists to victory. Sam Jones in this movie is enough to warrant a purchase. Adding to the silliness/weirdness (besides everything else) is the Godzilla movie-like dubbing of the Thai actors, the George W. Bush-like Texan “John Point” who appears in the beginning of the film, JMV shooting a missile launcher in mid-air from a parachute (it’s in the trailer so it’s not a spoiler) and plenty of other great, rewindable moments, which are normally so rare. This is truly one of the best Exploding Hut movies we’ve yet seen, it really transcends the genre. But when buying this movie, don’t confuse it with the 2010 release of the same name. Obviously the people who made that one are film-illiterate because they’ve never heard of P. Chalong! Chalong was the first one to cleverly add a simple “L” to the famous inscription on our currency. We miss you, P. We really do. For releasing this movie, this is why we’re always touting AIP. We give them props. 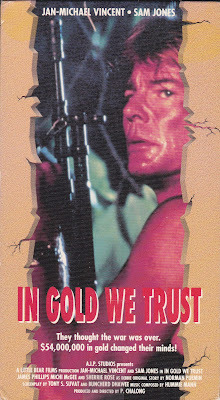 In Gold We Trust is so much fun, and now, finally, Jeff Slater can go in the pantheon of great movie villains. We recommend this movie highly! Fantastic Ty! This goes on my wants list. Thanks. also awesome! We know you will love it! Sam Jones was at his absolute best. I will check it out, the enthusiasm is contagious!! It is the original "Cash for Gold!" Haha. I'd have to see this to concur about Sam Jones. I truly believe Flash Gordon was the role of HIS lifetime. Too bad Jan Michael is barely even human anymore after all the alcohol and car wrecks. Definitely agree. Poor Jan-Michael...he was a lot of fun on Airwolf and Hit List. Jan actually showed up for the filming of Red Line after he was in a motorcycle accidental the previous day, he still had a hospital band on and everything, he insisted on filming because he felt the pain he suffered in his accident made his performance more convincing, now that's what I call dedication! Red Line is worth checking out as it's got a pretty impressive cast, aside from Jan, there's Corey Feldman, Dom Deluise, Chad McQueen, Robert Z Dar and Julie Strain. Always wanted to check out Red Line because of that story and the cast! Saw a few minutes of it on TV about 5 years ago. The fact that this film lives up to that cast is really promising news. Can't wait to see this one. I know you will love it. 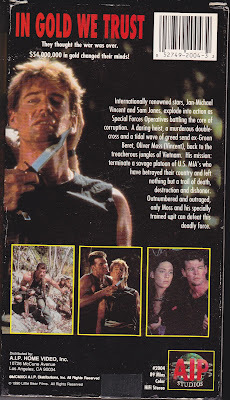 Sam Jones is out of his mind in this. Some nice surprises and humor too.